Philippe Rondeau has first validated his engineer diploma in Chemistry field from l’Ecole Nationale Supérieure de Clermont-Ferrand (ENSCCF), France in 1995 after performing a long-time training with Anna Ritcey in the Centre de Recherche en Science et Ingénierie des Macromolécules (CERSIM), 10 months, Quebec City, Canada. Then, in 1997, the laboratory of Biochemistry and Molecular Genetics (LBGM EA 2526) from the University of La Réunion, France, hired him as assistant engineer for the management of the laboratory and the development of use of the mid-infrared spectroscopy coupled with mathematical treatments methods to answer to this biological problem such as the modelisation of molecular interactions within biological systems (sugars-ions interaction, proteins structure modification). 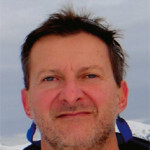 In 2004, following the thematic changes of the laboratory, which became GEICO, toward the the implication of the inflammation phenomena in the obesity and the associated pathologies, Philippe Rondeau followed a PhD thesis (obtained in 2009) on the interactions between oxidative stress and cellular pathophysiology in the framework of the diabetes/obesity pathology. His main research interests consist on the role of albumin on inflammation and oxidative stress, through the advanced glycation endproduct (AGE) generated in diabetes/obesity context. Different aspects are concerned including structural, functional and biological properties of albumin. More recently, Philippe Rondeau was also interested in inflammation modulation on the central nervous system in collaboration with Pr Christian Lefebvre d’Hellencourt. 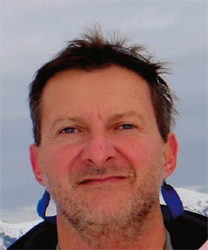 In 2013, he obtained an habilitation for research direction and is presently supervising 2 PhD students. He is the author/co-author of 45 peer-reviewed publications in different fields of research (chemistry, spectroscopy, biochemistry and cellular biology).